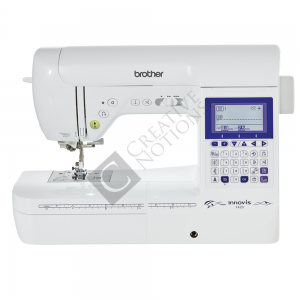 The Brother Innov-Is NV55P sewing machine is feature packed with 135 built-in stitches, including 10 button hole styles that you can quickly and easily select at the touch of the key pad. 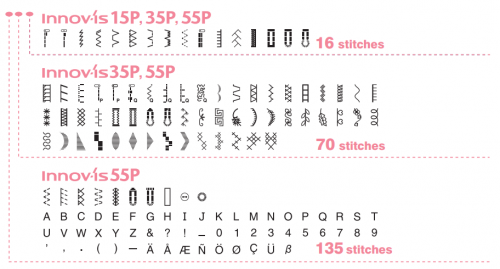 The built-in lettering can be used to create labels or monograms – you can even combine up to 35 different stitches to create your own stitch patterns! 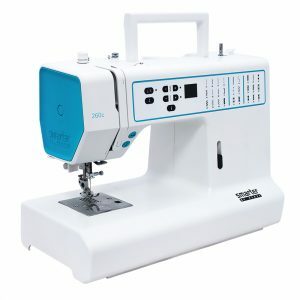 Whether you’re new to sewing, or it’s a keen hobby for you, this new range of easy to use, computerised sewing machine will inspire you to be creative. 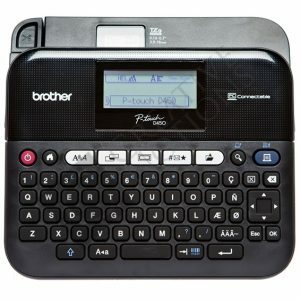 With sleek, modern styling, Brother’s new NV55P combine high levels of functionality with incredible ease of use. 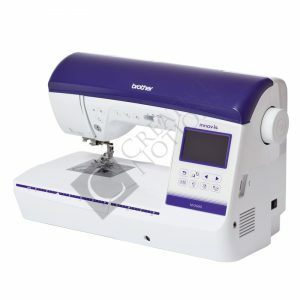 Designed with you in mind to help you get the most creative enjoyment from your home furnishing and dressmaking projects. 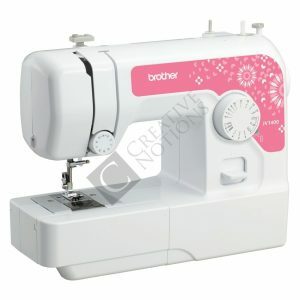 Electronic sewing and quilting machine, 135 built in stitches, 10 automatic buttonholes. 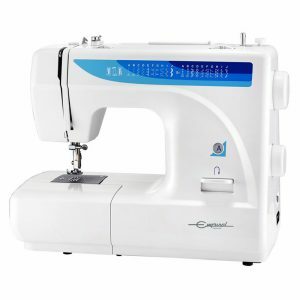 Handy central controls help to make sewing simpler.Jog dials and electronic touch pads provide finger tip control of stitch functions. 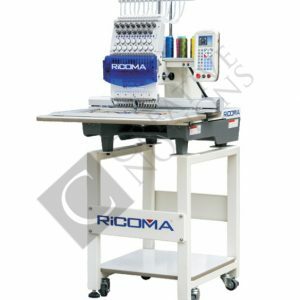 See at a glance information about your stitch – such as the length and width required. 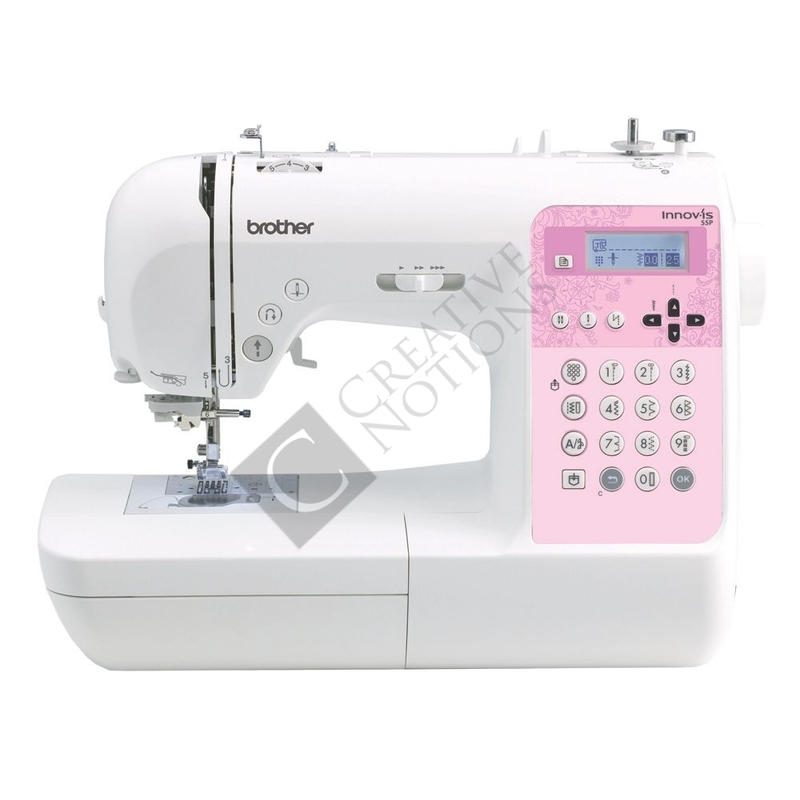 Needle threading is quick and simple with a one step action. 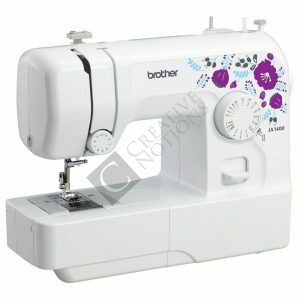 Just drop in a full bobbin, thread in the direction of the arrow and you are ready to sew. Winding bobbins is fast and simple. 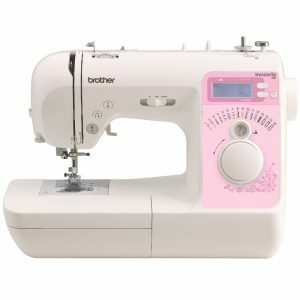 Just wind the thread around the bobbin through the guide slot and press the start button. Extra teeth ensure a smooth feeding action and superior stitch quality. Sew smooth pin point seams on any weight of fabric, from sheer silk to denim. 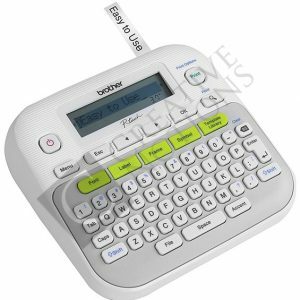 Effectively light up your workspace with the LED light. It uses a fraction of the power of a traditional bulb and it will last the life of the machine.